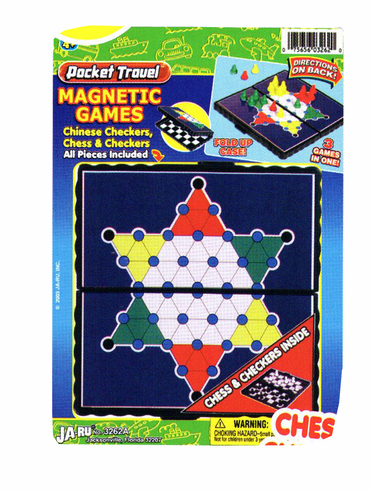 Now you can play Chinese Checkers on the go! The board can fold up into a handy fit-in-you-pocket size and store all your pieces. You can travel with it and is also magnetic so you don't lose your place in the game!